Well the Alpine Lilies (Lilium parvum) are out this week on the summit. This is a little early, but then so again are all the other wildflowers in this very dry year. 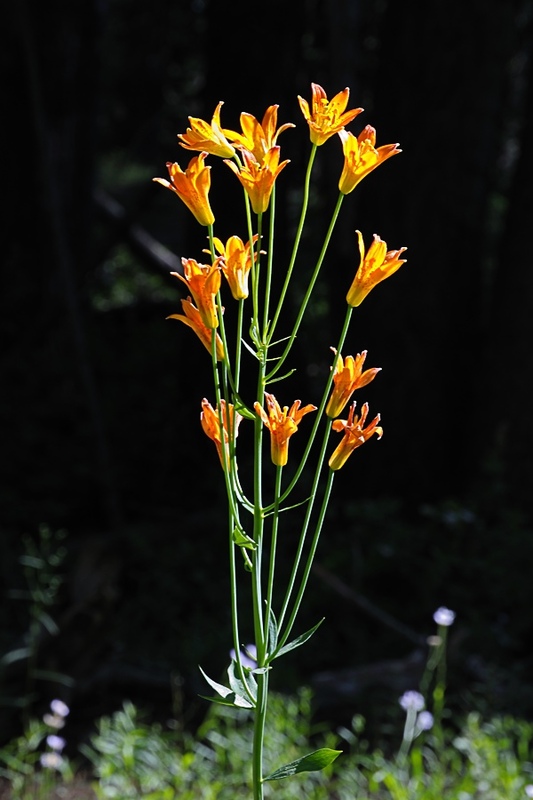 Look for these orange beauties in shady areas along the forest trails. They are usually in wetter areas and grow in areas where the Columbine grows. They only last for about 2 weeks so catch them while you can. 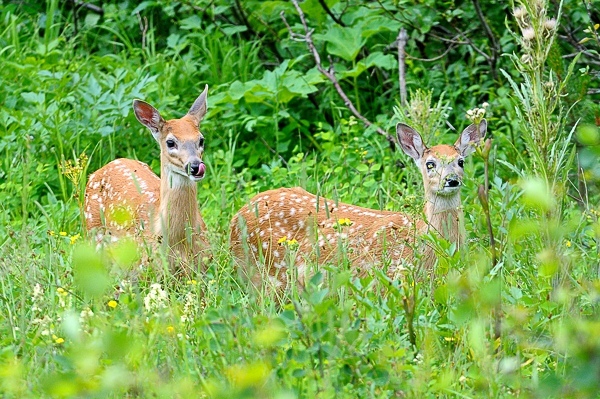 On the animal front it is fawn season on the Summit. The Black-tailed deer have returned to the summit for summer grazing. In the last few weeks they have been dropping their fawns. I ran into a doe and her pretty new set of twins this week over on the Claim Jumper trail on the east side of Serene Lakes. The only defense a new born fawn has is it’s mother and stealth. They have almost no scent for their first week or two and rely on lying motionless when a predator approaches. Unfortunately many of our domestic dogs still consider the fawn as prey and will go after them. It can get a little gory so a warning to all pet owners to keep an eye on their dogs while walking in the forest for the next few weeks. Once the fawns get to be a couple of weeks hold they will be able to out distance a dog in the forest. If you do find a fawn lying in the grass or brush please don’t disturb it. Its mother is probably around somewhere and will return to her fawn when you leave.